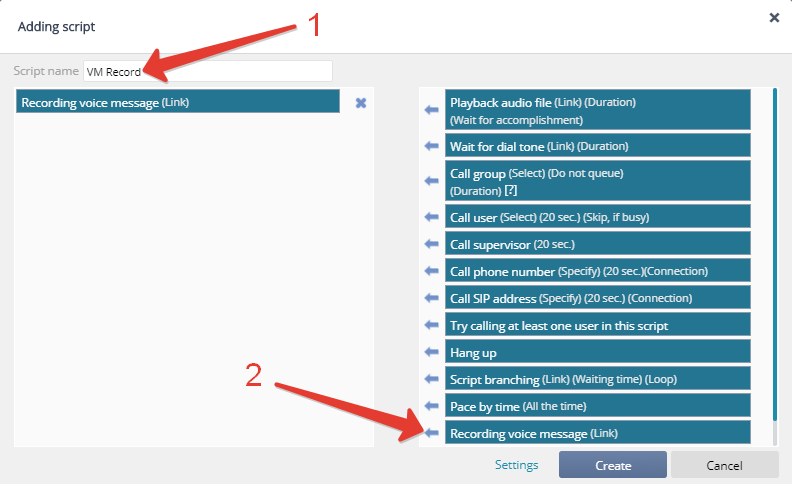 Play audio — audio file playback; the script timeout triggers another script. Wait for DTMF input — pause for dialing user extension (short number) and forwarding the call. You can enable an audio file playback while waiting. The script timeout triggers another script automatically. Call group — simultaneous call to several users. Call user — redirecting call to a user in the CRM. Call supervising manager — if the incoming contact number is in your CRM database, the system will redirect the call to the user supervising this contact; in case the supervisor is offline, this script will be skipped. 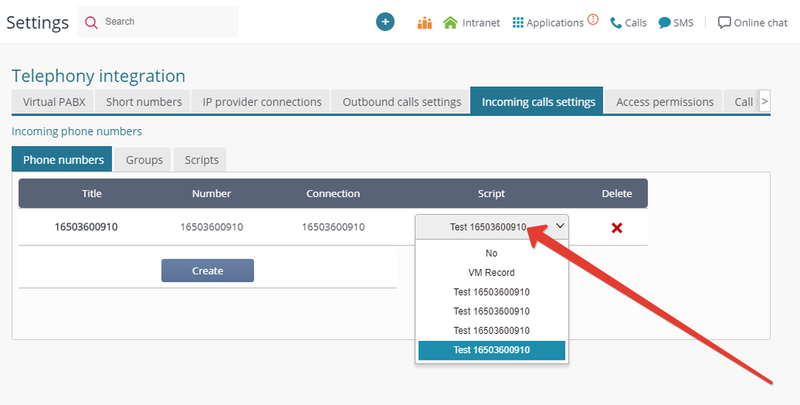 Call external number — redirecting call to an external phone number. Call SIP address — redirecting call to an external SIP address, OUTSIDE the CRM. Call any user in the script — trying to reach any of the available users involved in previous scripts (including group calls). Script branching — voice menu: each dialed key triggers its own processing script. Time step — triggering scripts by time tags. Record audio message — voicemail: 'Please leave a message after the tone'. Receive fax — the document you received is available in calls history. Hang up — end of script.